Caregiver anger is both real and justified. If you are caring for an individual with Alzheimer’s disease or other forms of dementia, anger is a constant companion. You become angry when your mom or dad lashes out at you, either verbally or physically. You become angry when he or she ignores you or doesn’t remember something you said an hour ago. And, sometimes, the source of your anger is hard to define. For it may come wrapped in a blanket of hurt, despair and even fear. First, take a deep breath and know that you are not alone. Your anger is real and justified. You are dealing with issues that lie outside the bounds of normal day to day concerns. And you are not a trained nurse or therapist. Accept your anger and find ways to release it. 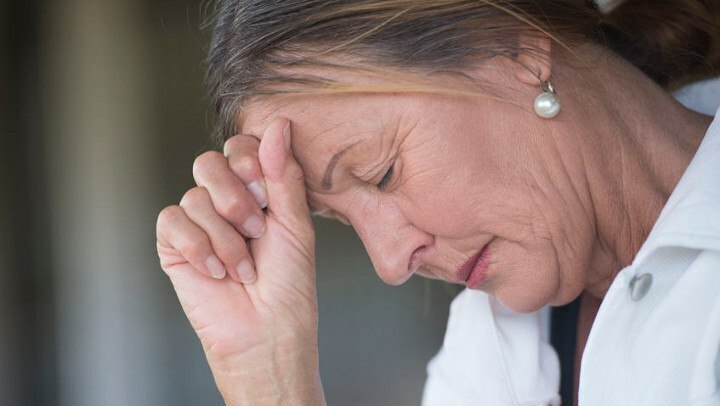 Here are some tips for learning how to deal with caregiver anger and how to keep a steady grip on your own emotional health in the process. Find ways to vent. There are several ways to vent your anger, from writing down your anger in a journal, to punching your pillow, to sharing your anger with other caregivers who can empathize. All methods have their benefits. Many find that the more they share their anger with others, the more it helps remove some of the burden of suffering alone. Educate yourself. The more you learn about this life changing illness, the better you are able to understand what is happening behind the alienating behavior a loved one exhibits. While no amount of knowledge can vanquish anger altogether, it can help as you struggle to put your anger in perspective. Ask for help. It is not a sign of weakness to ask for professional help. Most caregivers find great relief in meeting regularly with a therapist or church clergy member. Dementia support groups are also a good source for exploring new ways of coping with anger. And, remember, by helping others with their anger, you can help put your own in perspective. You can’t go it alone. Let others help. The most important thing is not to keep your anger bottled up inside. Seek out those who can help you channel your caregiver anger in a way that helps you maintain your emotional and physical health. And, when family and close friends offer to help out, let them! Not only will this relieve some of your stress, you will be opening an important channel for ongoing help and support. Anthem Memory Care communities provide monthly dementia support groups as well as respite “short-term” care for your loved one, when you need a break or need to take care of personal business. Let us know how we can help.